Creamy, cheesy, comforting and utterly delicious this Scalloped Potatoes and Ham is a surefire winner any night of the week and seriously a family favorite. This time of year everyone is looking for comforting dishes and what better way to do that they with this Scalloped Potatoes and Ham? With it’s creamy, cheesy goodness this meal comes together quick and feeds a crowd! It’s a hit with young AND old in this house! 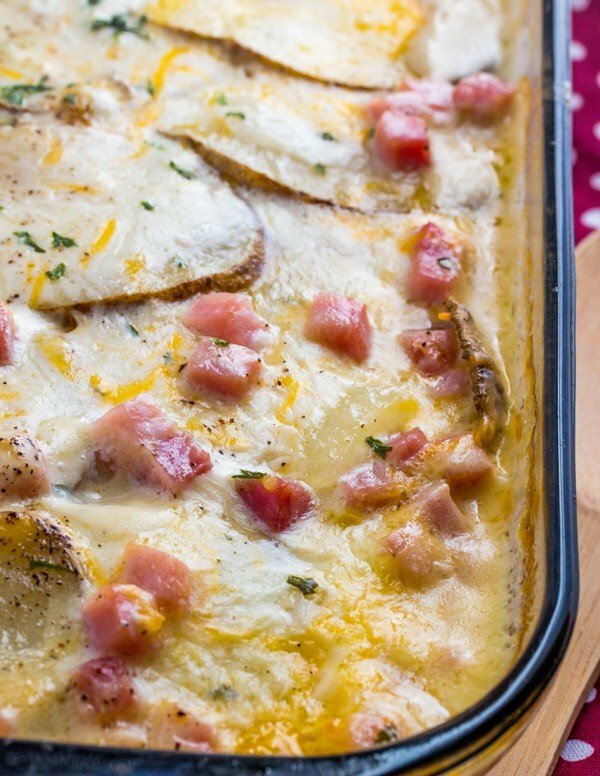 Join me today over at Tinselbox where I share this favorite Scalloped Potatoes and Ham recipe and hop around and find some fun delicious and entertaining stuff while you’re there!